The 29-year-old man shot by Wichita police Thursday is still in critical condition as of Friday morning. Deputy Police Chief, Troy Livingston, provided new details at the Friday police briefing. Two Wichita officers had been looking for the 29-year-old suspect for a couple weeks. He had warrants for several violent crimes, including an armed burglary, and for pointing a gun at a loss-prevention officer at a store. Officers learned this man would be at the Department of Correction building around 1 p.m., at 905 North Main. He showed up around 1:04, and officers moved in after the suspect’s girlfriend got out the car to go into the building. 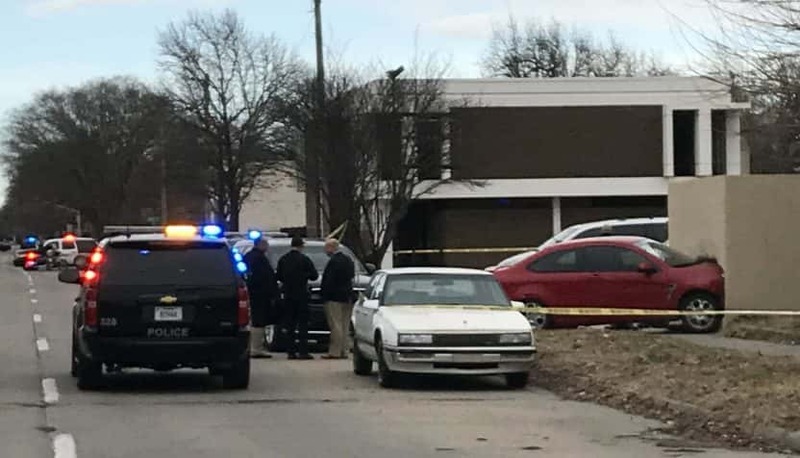 A Department of Corrections employee pulled his car behind the suspect, to block him into a parking space, as two Wichita officers approached from the side, with guns drawn. The suspect was told to get out of his car, but instead backed into the KDOC vehicle. While pulling forward, the two Wichita officers fired, fearing he was going to run over one of them. One officer climbed onto a parked car to get out of the way, but neither officer was hurt. The suspect was shot several times and got his car out of the parking lot, before crossing Main and hitting a wall. One officer was cut by glass while pulling the suspect from his car. A gun was found on the suspect, and the tag on his car had been reported stolen. Giving a time frame Friday morning, Livingston said all of this happened within a couple minutes. Both officers are on paid leave while the KBI investigates the shooting.